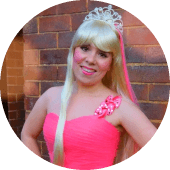 Hire a Fairy for a Birthday Party - Make Your Party Easy and Simply Amazing! Fairies make an excellent party theme and fairy characters continue to spark the imaginations of children, never losing their appeal! However, organizing a successful fairy birthday party may feel like an overwhelming task with so many things to consider. Why not let us take the fairy entertainment off your plate so that you can focus on watching the children enjoying their time? 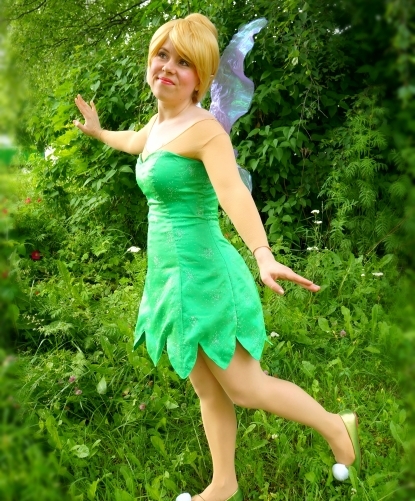 ​Fairy Entertainment ​with Music, ​Pixie Dust Wishes, Games and MORE! ​Entrance & introduction. Tinker Fairy will engage with all the children and introduce herself. ​Story & songs. 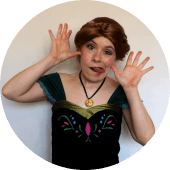 Tinker Fairy will tell an interactive story and sing a themed song in her beautiful ​singing voice for everyone to enjoy! ​Royal Fairy Coronation & Pixie Dust Wishes. She will crown the birthday child an Honorary Fairy. They will walk down a red carpet and also get their very own Fairy Certificate, Birthday Present and Tiara to keep! ​Pixie Dust Wishes. Tinker Fairy will grant the birthday child a special wish with the Pixie Dust! ​Games and ​MORE! If you book 60 or 90 minutes, there will be time for games, and even your choice of mini face painting, simple balloon twisting or fairy crafts! Tinker Fairy will also pose for photos and sing Happy Birthday! Right from the moment the Tinker Fairy Party Character enters the room, children will be mesmerized and drawn into an imaginative fairytale! 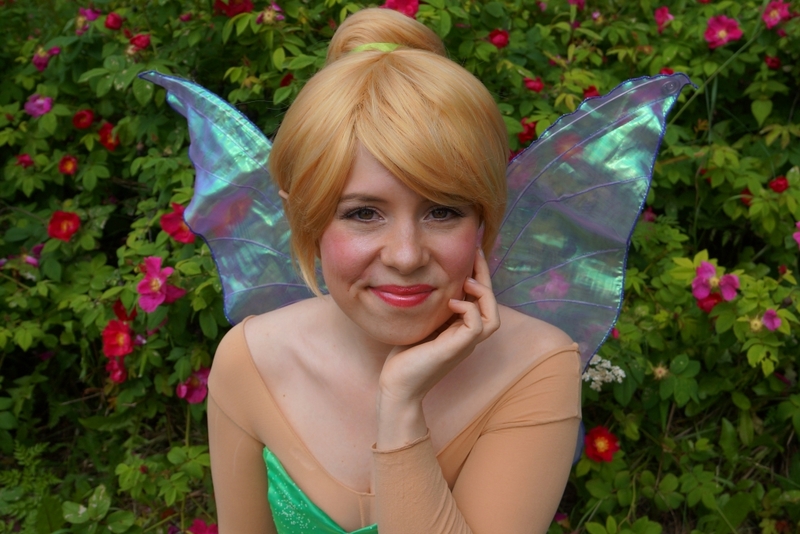 ​Tinker Fairy will immediately engage with all the children, build up excitement and make a fuss of the birthday child! 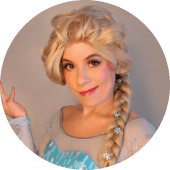 She will make them feel like the star they are, while ​ensuring everyone has a Tinker-rific time! We Offer Great Value Fairies for Parties! ** Maximum number of children is 15 at the prices you see on this page. We can accommodate extra children for a fee. For parties with more than 20 kids, please contact us for a custom quote. 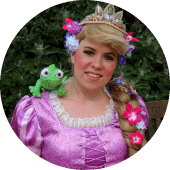 You can also hire a fairy and princess characters! Don't see your preference? Contact us for a custom quote! * A travel fee applies when your venue is located outside of our service area which covers Vancouver, Richmond, Delta, Burnaby and New Westminster. If your party is on a weekday during rush hour traffic, a rush hour charge may apply depending on the location. ** Each extra child needing face painting or balloons costs $8 more after the 15th child. If you have more than 20 children at the party, please contact us for customized party entertainment quotes. *** Magic trick upon your request. If we perform it, we may have to shorten from or remove another activity. Is your child turning 1 or 2 years old? 1 or 2 year old birthday is a great occasion for a fun get together with family and friends, and our Tinker Fairy Entertainer will put that extra special magical touch to your party! For 1 or 2 year old birthdays, we will remove the Royal Coronation and Pixie Dust Wish Activities. 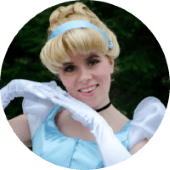 Otherwise your Fairy Entertainer will still provide interactive storytelling, singing and age-appropriate musical games that all guests can enjoy! Hire a Second Party Character for Even More Fun! 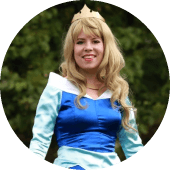 ​We have a range of princess characters for parties​ that you can add! ​Please contact us ​to obtain a quote ​in order to hire multiple ​princess party entertainers! ​When ​you rent a fairy entertainer for your child's special day, you should choose a provider that you can trust. Here at Believe Party Entertainment we are professional and experienced children's entertainers. We truly love what we do and are fully committed to provide your child with the best experience! ​Ps. Don't forget to read and see for yourself our many 5-star reviews on Google, Facebook, Gigsalad and Chatterblock! No hidden fees... Multi-talented entertainer! We would book again! Henna was amazing from start to finish. She was prompt to answer my questions, and there were no “hidden fees”. The Tinker Fairy was great with the children. Parents were impressed with her voice and face painting. She is a multi-talented entertainer! We would book with Believe Party Entertainment again with no hesitation. The children couldn't stop talking about it! My daughter and all her friends loved the party. It was the all round the kindergarten how amazing party it was as the children couldn't stop talking about it. Fantastic entertainer, the kids had a great time and my daughter was made to feel like a special princess. Thank you so much for making her day extra special. If you don't see your question here, please contact us! We are currently available 7 days a week, including SOME public holidays (please contact for availability and provide a sufficient notice, if you plan on booking on a public holiday). Is there a maximum to the number of guests I can invite? We understand every party and event is unique, and we do not like to limit the number of guests you can invite! However, if you have booked a party package which includes face painting or balloon making, there could be an extra cost for an audience larger than 20 children as we may have to supply two party entertainers instead of just one. 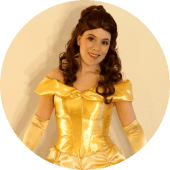 If you are booking character entertainment for a larger event (30+ children) we recommend hiring two character entertainers for the best experience. Please contact us for availability and quotes for multiple entertainers. What if I need to cancel or postpone my party or event? We understand that sometimes your plans may change. We will do our very best to assist you in changing to your preferred date and time, and unlike some other companies we will do this completely free of charge up to until 7 days before your party/event date. Rescheduling within 7 days of your booked date will incur a charge of $50. In the event of cancellation, ​your deposit will not be refunded. Please note that if there are last minute delays to the start of your party, we may not be able to accommodate due to other bookings we have after yours. In this case, we recommend starting the party as soon as possible/as soon as the performer arrives. Any late comers can still join the entertainment after they arrive. Typically our customers book our start time 30 minutes after the official start time of the party in order to ensure all the guests will have arrived when entertainment starts. Our normal area of service includes Vancouver, Richmond, Burnaby, New Westminster, Delta, North Vancouver and West Vancouver. If your event is outside of these areas, a travel fee will apply. Travel fee is $20 for Coquitlam, $30 for White Rock and Surrey (some areas in Surrey are $20 – please ask), and $40 for Langley. We do not generally travel beyond 50 km from Vancouver. At this time we accept Interac e-transfers and cash. For our corporate and non-profit customers, we do accept electronic fund transfers and cheques. 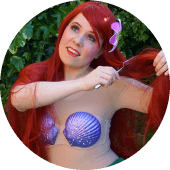 Availability is Limited, So Hire a ​Fairy Today! 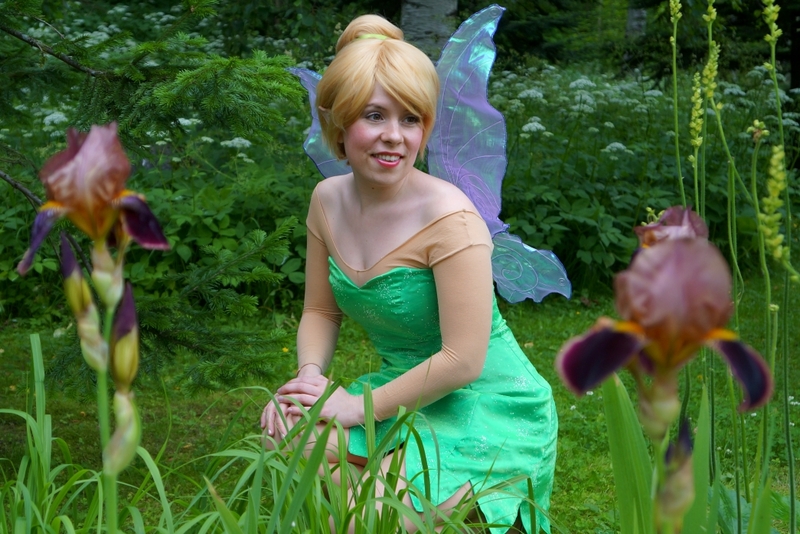 To avoid disappointment, it is recommended to book your ​fairy entertainer as soon as possible!